Soak the bread in water to cover for 5 minutes. Squeeze out the excess water. In a large bowl, combine the turkey, proscuitto, sausage, bread, eggs, ¼ cup of the pecorino, the Parmigiano, ¼ cup of the parsley, the nutmeg and ¼ cup of the olive oil and mix very gently with your hands. Season with salt and pepper. Form the mixture into 3 inch balls. 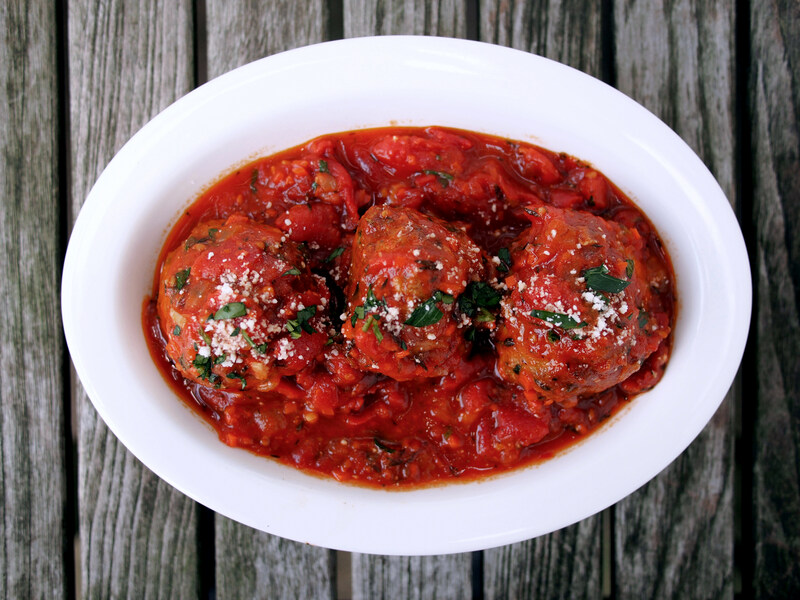 Place the balls on a baking sheet, cover and refrigerate for 1 hour to allow the flavors to blend. In a 10 to 12 inch heavy bottomed saute pan, heat the remaining ¼ cup olive oil over high heat until almost smoking. Add the meatballs and brown on all sides (six to eight minutes). Transfer the meatballs to a plate and drain off the oil. Add the tomato sauce and wine to the pan and bring to a boil. 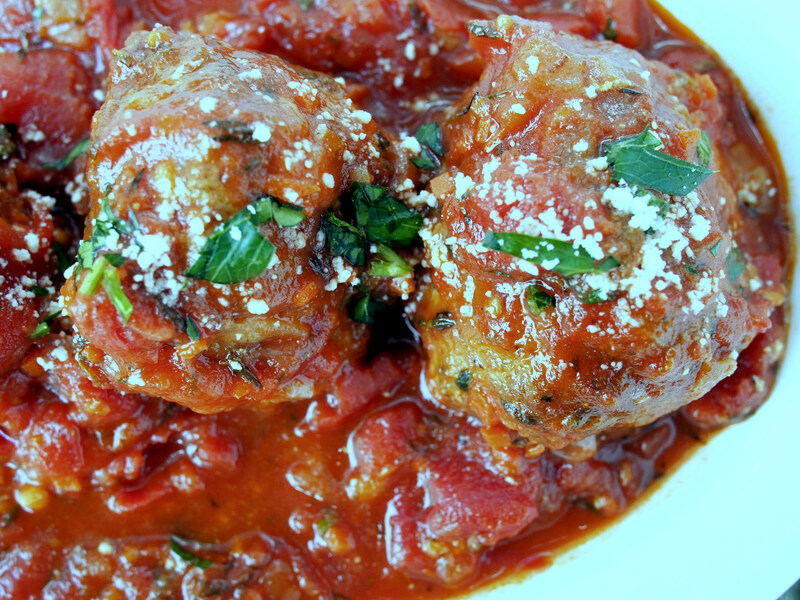 Place the meatballs in the sauce and return to a boil, then lower the heat and simmer for 30 minutes. Sprinkle with the remaining ¼ cup each pecorino and parsley and serve.